Students enjoyed playing in the snow at recess time. 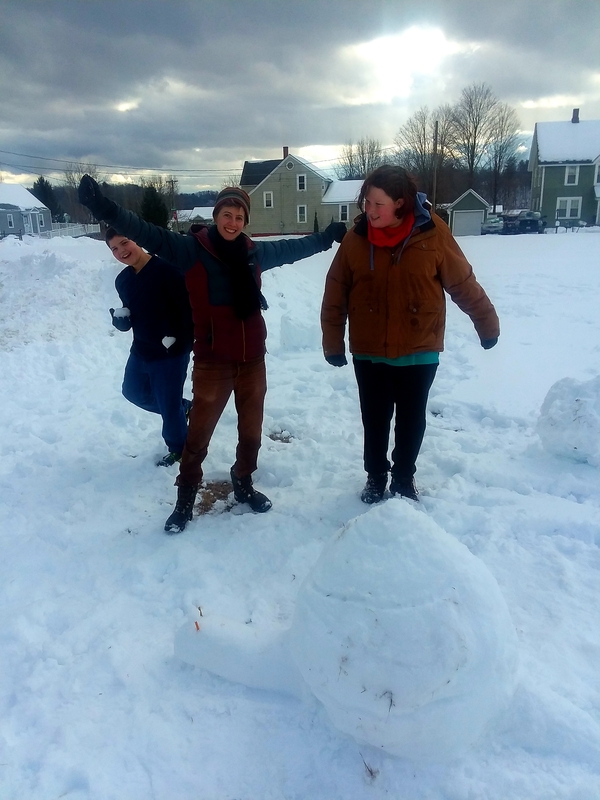 Activities included snowball fights, burying each other, and building a large snow-snail! Check our Facebook page this coming week for lots of pictures of the kids playing outside! We only had one humanities class this week due to the snow day, but on our one day we read through chapter 6 of Nathaniel Philbrick’s The Mayflower and the Pilgrim’s New World. Students took notes for their cultural similarities and differences project. In science this week students did experiments to discover the rules of temperature change. What a wonderful open house experience! Thank you for everyone for attending and bringing food to share.